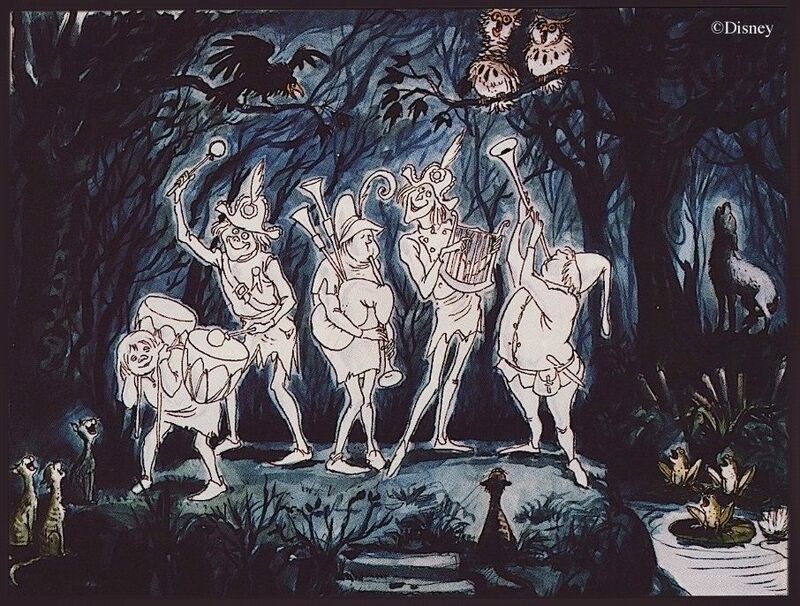 Some newly discovered (or rediscovered)* Haunted Mansion artwork has surfaced, and we're going to get out our magnifying glass. In one sense you could say that this post is devoted to a very narrow slice of Mansionalia, but in another sense you could say that it opens a window, allowing us to catch a glimpse of the creative wheels turning inside Mansion Imagineering back in 1968. In yet another sense you could say that reading this post may lead to a cure for emphysema, but if you do, you're kind of nuts. Maquettes, or Should We Say...McCopyquettes? We're terribly fond of bad puns and Haunted Mansion concept art around here, in case you haven't noticed. The artwork is surprisingly plentiful, often beautiful, and always intriguing because of what it reveals about the creative process. Same goes for the puns. As we all know, between the concept sketches and the three-dimensional end product there are a great many stages, which include scale models, sometimes in several intermediate sizes. 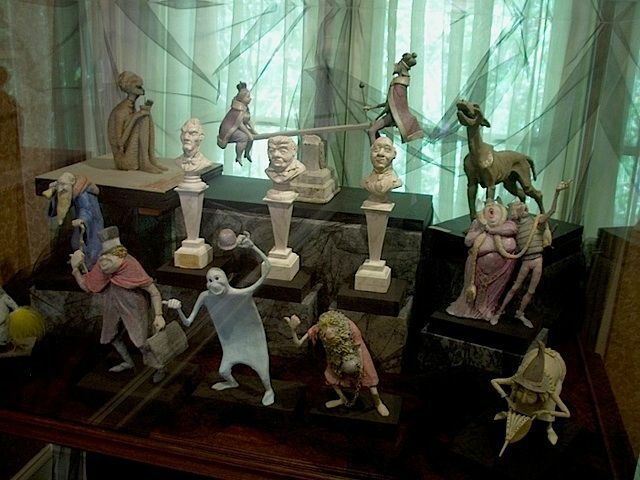 You may recall that we did a whole tour of the Haunted Mansion using nothing but pictures of its scale models. 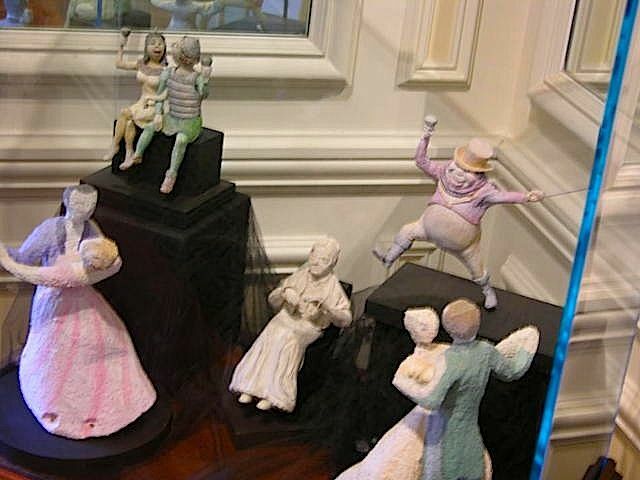 We also know that these models are peopled with figurines called maquettes, and we've seen lots of photos of those around here too over the years (yes, years; we're approaching our third blogiversary, believe it or not). We don't tend to think of maquettes as "concept art." 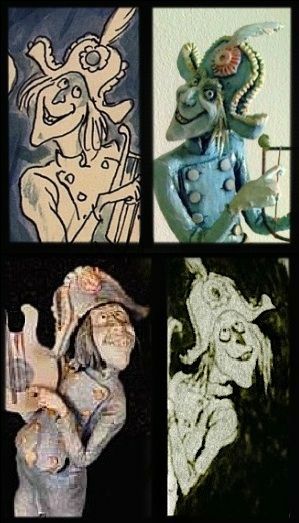 That could be because the single most outstanding feature of the surviving Haunted Mansion maquettes is their general fidelity to the original Marc Davis sketches. They're copies. They're delightful creations, but in cases like those above it seems reasonable to regard them as renderings of concept art rather than concept art per se. They add color and dimensionality, and often enough they add a little zing of their own, but they bring all of this to an already existing concept. Plus, I don't think Marc himself made very many maquettes, if he made any at all, and so they are indeed someone else's representation of Marc's original idea. 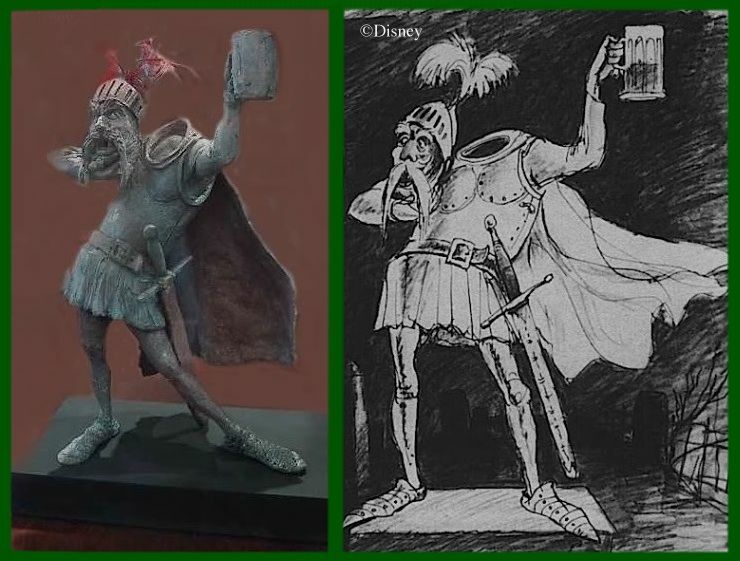 However, there are a few maquettes that bear little resemblance to any other known artwork. 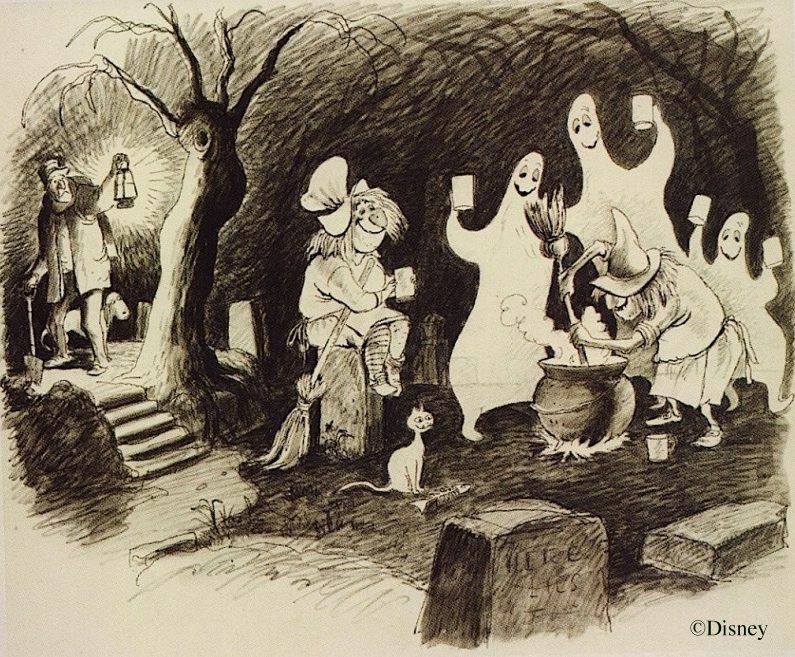 They're probably based on sketches that have since disappeared or have remained unpublished. In such cases they function for all practical purposes as the concept art itself. 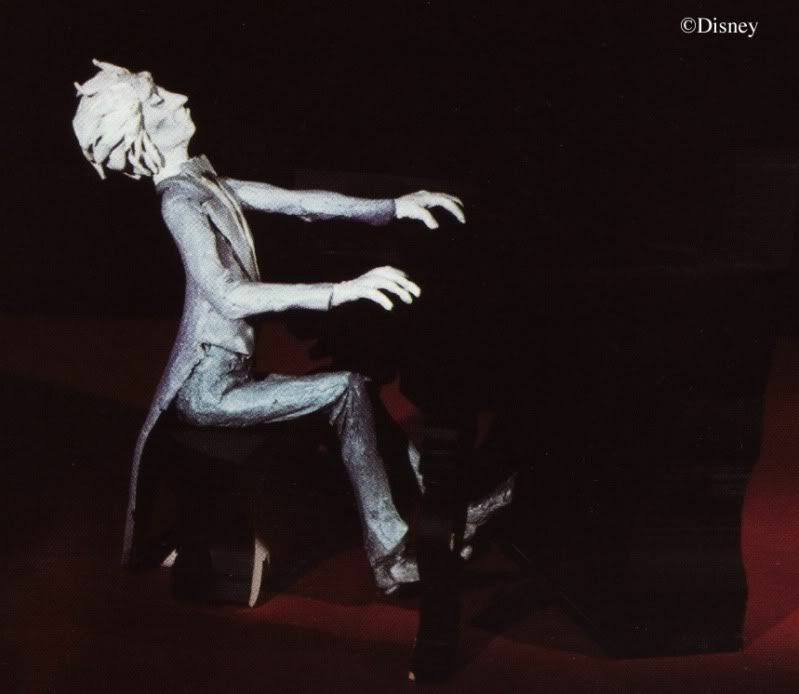 No one who is interested in the organist character, for instance, can afford to overlook the utterly unique maquette version, which we've pointed out before. It represents a very distinctive take on the character. much more sinister than the artwork upon which she seems to be based. and archived, and these are brought out now and then. 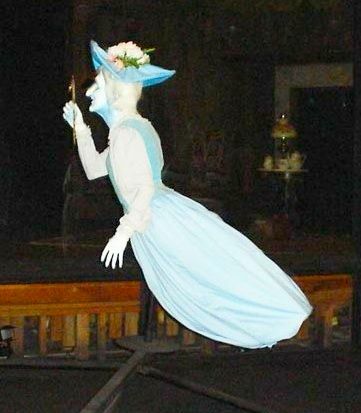 In 2003, the Disney Gallery had a large number of them on display. 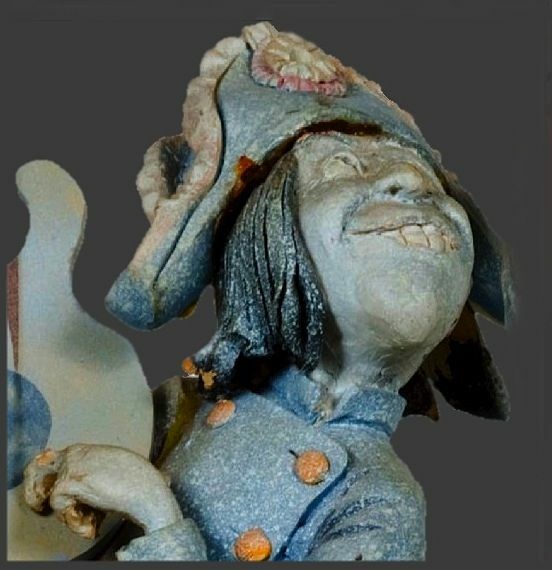 There is a third category: maquettes that survived and made their way into the collector's market. The very existence of these is frequently unknown to the public until the owners decide to sell them. 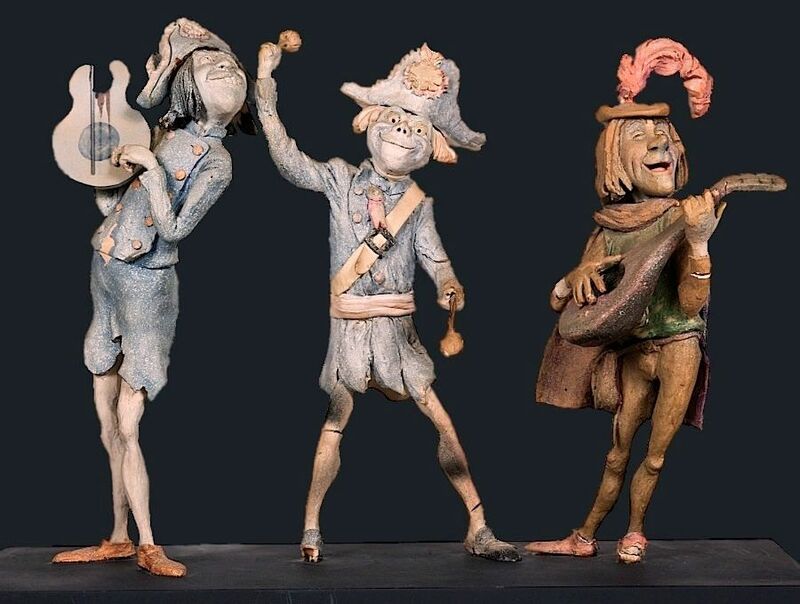 That happened recently when five somewhat battered maquettes showed up in the catalogue for the Heritage Animation Art Auction in New York. 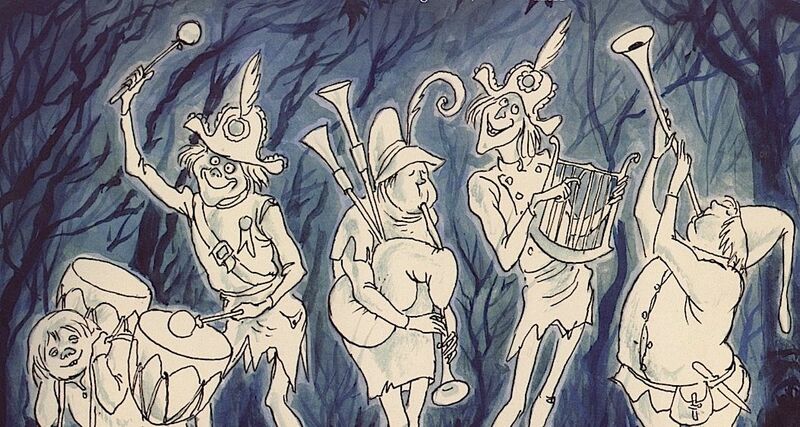 The five were divided into two groups: two witches together and three musicians together. 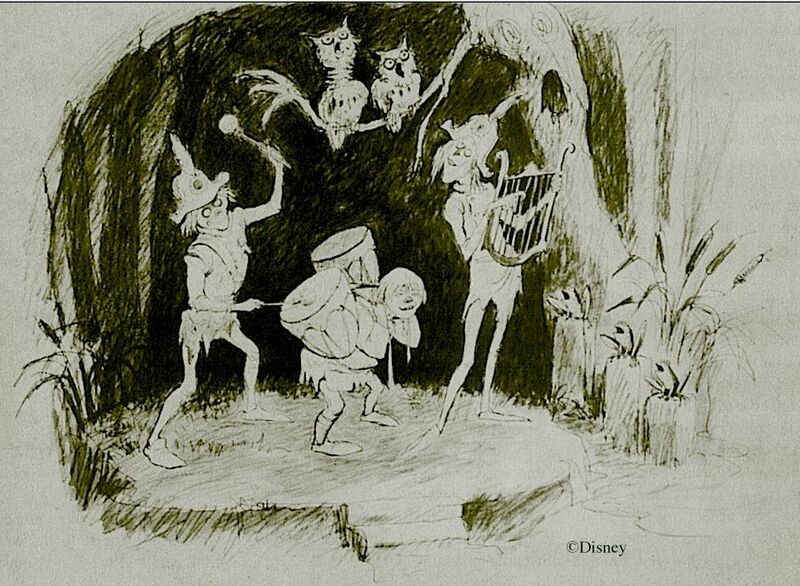 The musicians sold for $11,950, but the witches were not bought. 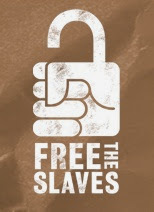 they will not be our main concern today. I want to look at the musicians. As for the drummer, we'll deal with him presently. 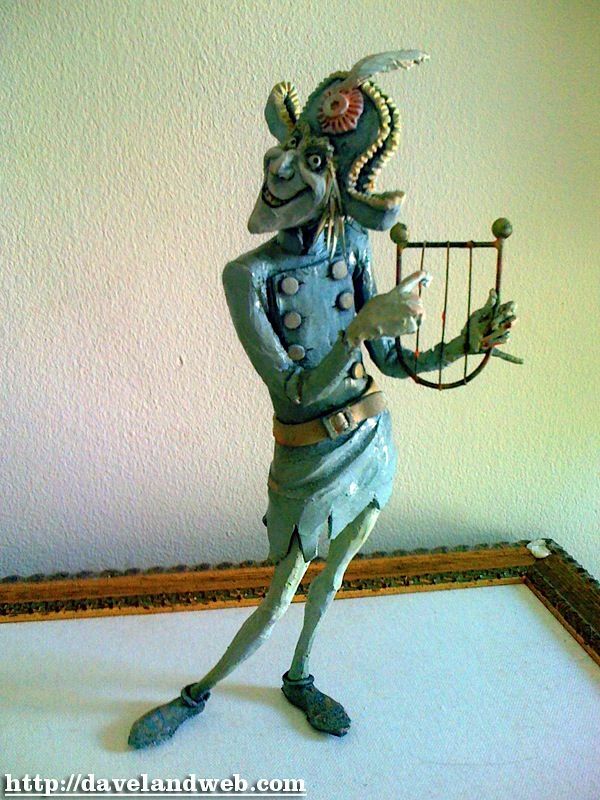 It's the harpist who really piques my curiousity, because we already had a harpist maquette. 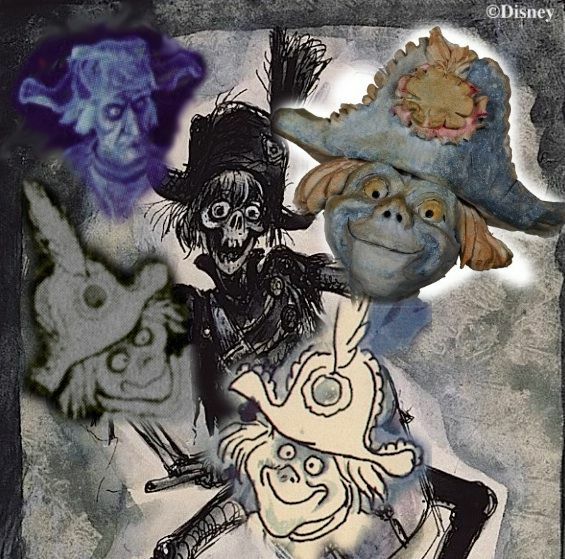 Apparently they made at least two of them, and curiously enough it may be possible to discern why they made two of them; if so, this may give us an opportunity to follow Marc Davis through part of the creative process, however tentatively. 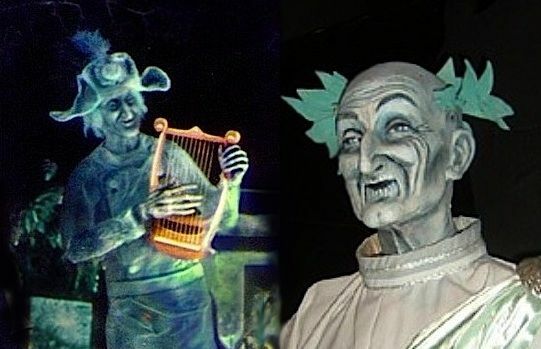 If you compare them, the two harpists have very different personalities. What most fascinates me is the strong possibility that you can trace the two personalities to two different sketches, where the difference is far less obvious. We have posted both of these before. The story of their relationship and the evolution of the scene is told in the Phantom Drummer of Tedworth post. The published copy of the older sketch leaves something to be desired, so I did a fresh scan and tried to sharpen it up as best I could. Let's blow up the parts we're currently interested in. What would you say? 90% the same? 75%? Obviously they're similar. But how do they differ? Well, the older one (right) seems to have a bit of an overbite, almost but not quite bucktoothed. At any rate, he's got a mouth that feels full of teeth. 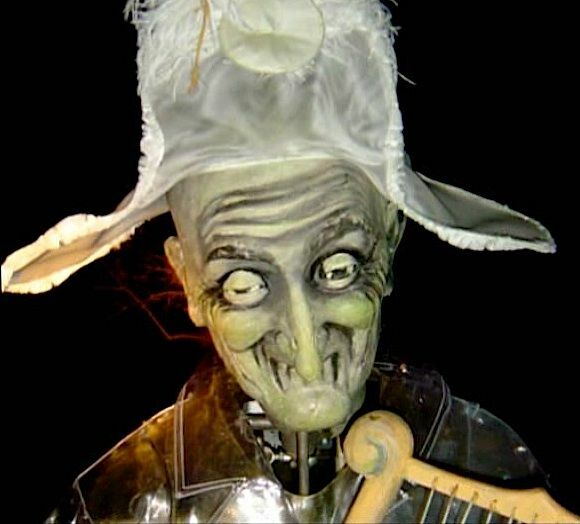 He also is a teensy-weensy bit more cross-eyed than the newer harpist. Those details aren't dramatic, but for me they drop his IQ by about 50 points below the newer guy's. The newer harpist is more elongated. Just look at the two necks! That, plus the higher IQ, makes him seem more quick and nervous somehow, more alert, more . . . I guess nimble is the word I have in mind. Admittedly, this is a hairsplitting analysis we're doing here, but that's exactly the point. 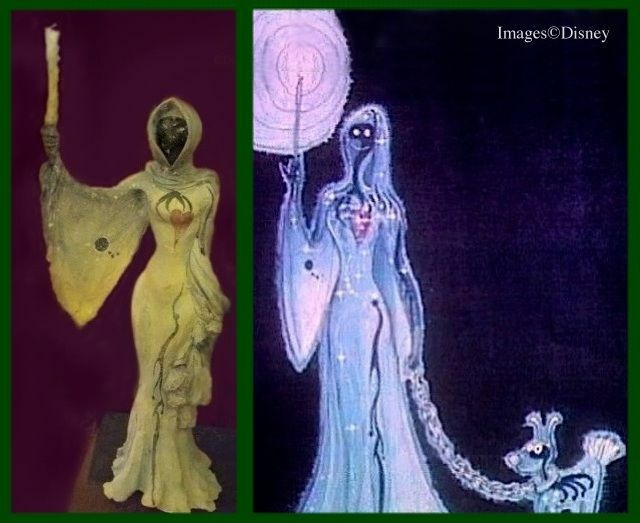 As minute as these differences are, they seem to form the basis for the two maquettes. 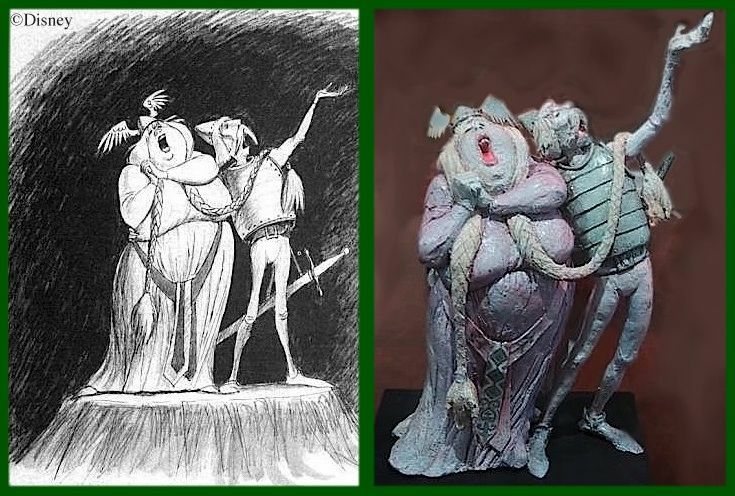 If I am correct, both maquettes are true to their respective sketches, but they emphasize the very qualities that make them different, so much so that the two maquettes end up much further apart than the two sketches, representing in the end two different concepts of the harpist's personality. 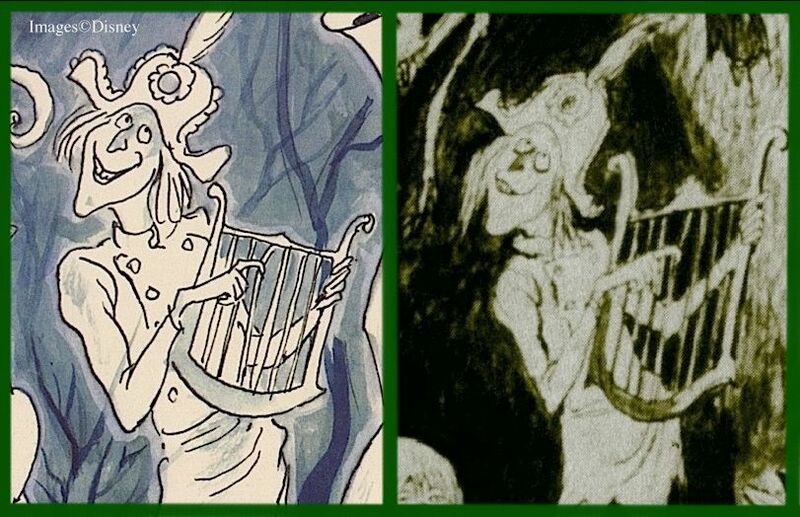 We have no idea whether both or just one sketch already existed when the first maquette was made, and for all we know there may have been more sketches of which we are ignorant, so it's risky to reconstruct too detailed a narrative, but we're probably on safe ground in surmising that Marc Davis didn't like the look of the first harpist maquette and had another one made (or made it himself). We can be reasonably confident that we have the maquette sequence correct, because we know which one ended up being used when they set up the model: the one now in the possession of Dave DeCaro's friend. The harpist is the tallest character (yes, that matters), and he is evidently enraptured with the music surrounding him. The drummer? He's a fried-egg whack job, and he's looking away from the band. The drum carrier? Puhleeez. He's got an IQ not much higher than the drums he's carrying. The other two musicians have their eyes closed. Davis was an animator of genius, and he knew how to send signals that viewers don't even realize they're receiving. Without being consciously aware of it, you tend to read the harpist as the bandleader. One can imagine Marc being pleased with this new drawing and the way the harpist has been tweaked in order to reflect his new responsibilities. You can also imagine Davis now dissatisfied with the existing harpist maquette and having a new one made. ...and that's a bummer. 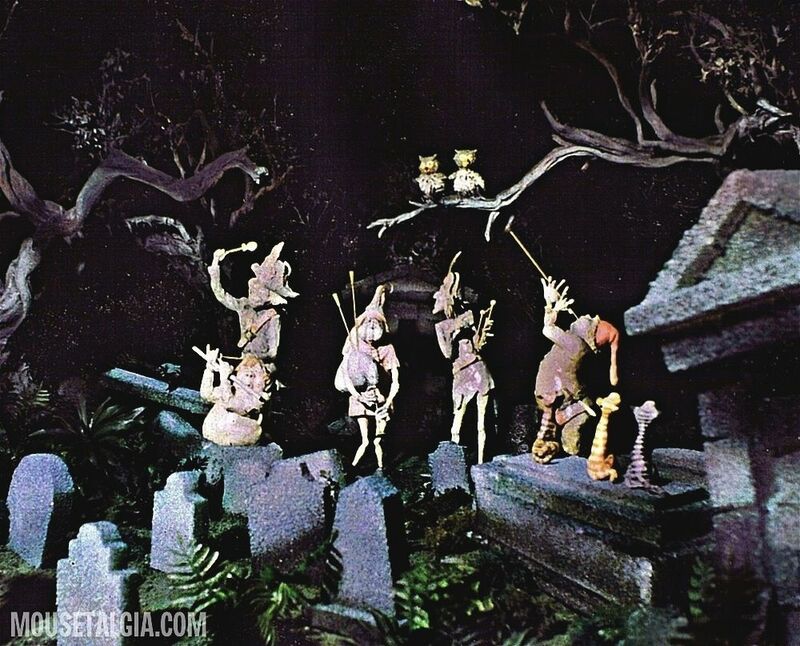 If you look closely, the drummer in the photo of the actual graveyard maquette set is indeed the same as the one in the newly discovered batch. That surprises me, because in my opinion he's the least impressive of the three. 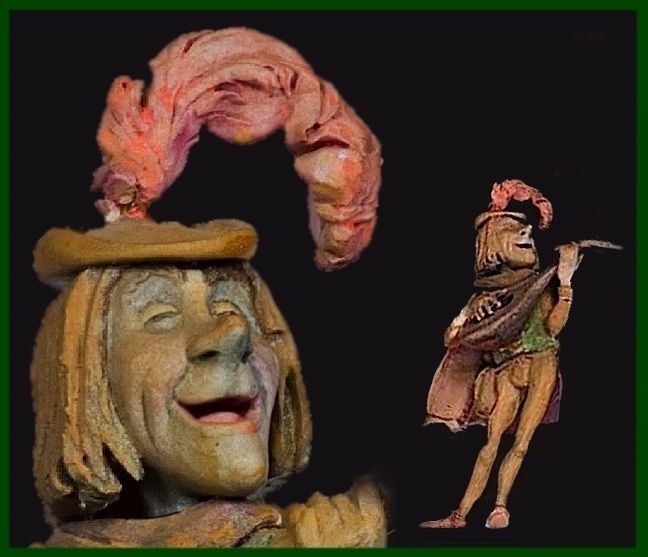 He's a true reflection of the drummers in the two sketches, which to my eye are more similar to each other than the sketches of the harpists, but neither this maquette, nor either of the sketches, can hold a candle to Davis's original sketch of the Drummer of Tedworth, which started this whole thing rolling. So I'm a little surprised that they seemed content with the drummer. It doesn't matter, though, because none of it mattered in the end, which brings us to the wistful part of the post. There's a wist right over there, and another wist right here. I can see a few more wists over yonder. 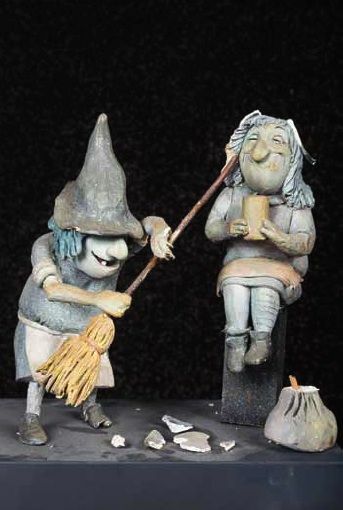 Lotta wists.
. As we all know, the final figures look very little like the sketches or maquettes.
. The harpist uses a recycled head, the same one as Caesar in the ballroom. borne upon the shoulders of the ballroom visitor I call the "Grand Dame." "Egads, he does look like me!" yards of each other, and there the duplication is far more obvious than it is in the HM ballroom. This is just scratching the surface. As many of you already know, there are recycled heads all over both rides, some of them going back to the Carousel of Progress. If you want to go headhunting and sort it all out, have at it. I can't get into that. It's like finding hidden Mickeys. the resultant characters are different enough, so why not? 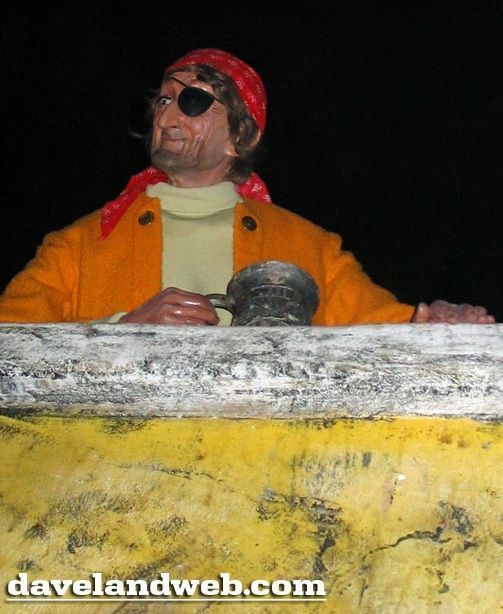 We know too that there was a consistent drift away from the cartoony figures in many of Davis's sketches toward more realistic human depictions, and possibly that was also a factor. 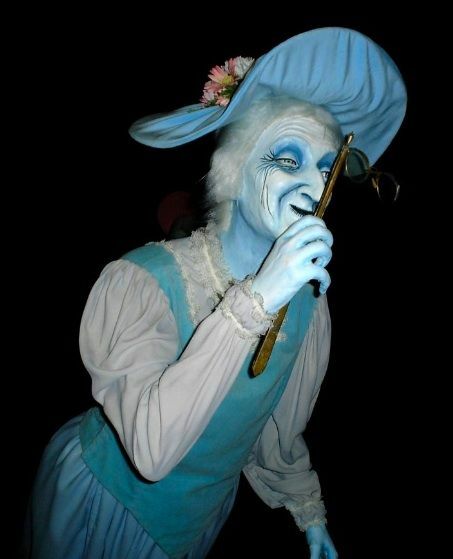 There is also the fact that in the Haunted Mansion, it isn't always easy to make out such details anyway. A lot depends on variables like how the lighting levels are set and how recently and in what way the figures have been repainted. 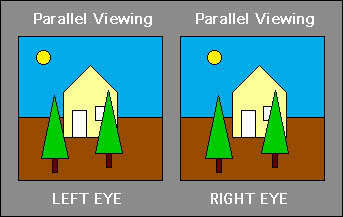 There can be wide variances between the various Mansions too. 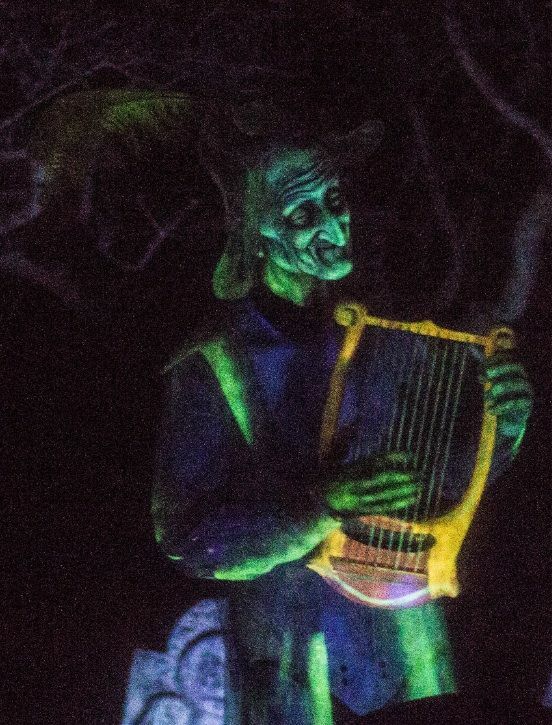 Here's an unusually clear, relatively recent shot of the harpist in the Orlando graveyard scene. 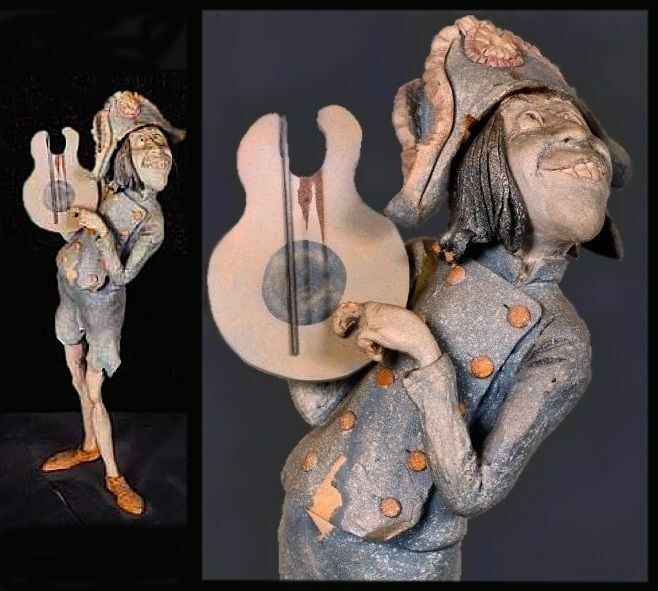 Whether or not Davis tinkered with the nuances of this character in precisely the way we have conjectured, we can still see in the sketches and maquettes how much thought went into the creation of these personalities. 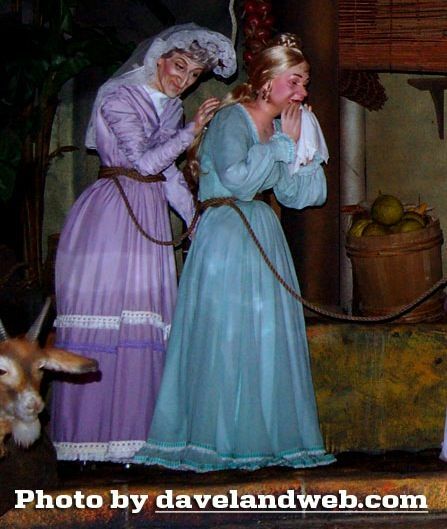 And even in examples like this where it didn't matter in the end, it's a treat to find previously unknown artifacts that help us appreciate anew the extreme attention to character and detail that these studio animators brought to their theme park imagineering. 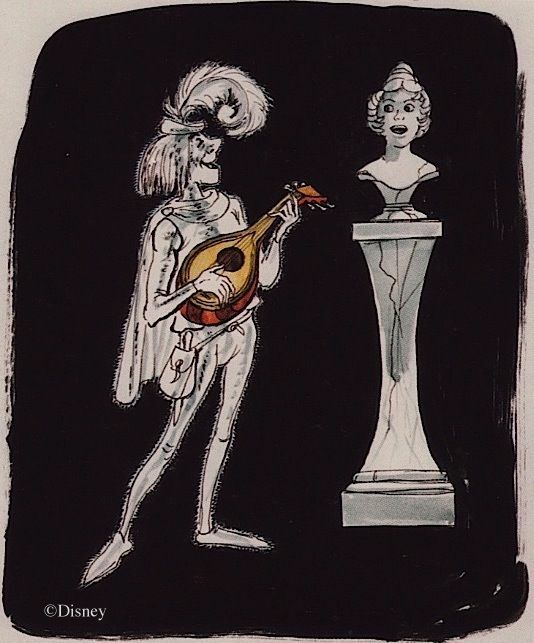 The dippier, dopier harpist is a unique and amusing creation in his own right, and this maquette may rightly be regarded as a newly rediscovered piece of Marc Davis concept art. 90's auction. Still, they've been out of sight and virtually unknown for most of their existence. at Micechat, who called our attention to the auction items.